Globe artichoke is botanically known as Cynara cardunculus. This is a flower bud of the thistle which has spine-tipped leaves. It’s heart and base are edible and though the stem is generally not eaten, it can be used in recipes. This is a popular winter flower bud originating in the Mediterranean region. Called Anakinra in Greece, this vegetable belongs to the thistle family and is known among ancient Romans and Greeks as a beauty and medical health remedy. The Globe artichoke grows to a height of 1.5 to 2 metres and has silvery green leaves which are o.5m long. In case these are not cut down, light pink or purple flowers develop from the bud. Bud comprises compactly arranged triangle scales in a whorl shape around the central choke, hence the name. The Globe artichoke measures 3 to 5 cm in radius and weighs 150 grams. Immature florets at the bud’s centre constitute the choke. These are not eatable in older and bigger flowers. Edible portions of the bud comprise fleshy lower portions of involucre bracts and the base- this is the triangle scales and the base of the bud respectively. Various cultivars of this kind of artichoke based on size, colour and shape of a spine are grown. Globe artichokes are low in fat and calories, making for the perfect weight loss item. With important minerals and fibre, they are perfect for health conscious people. 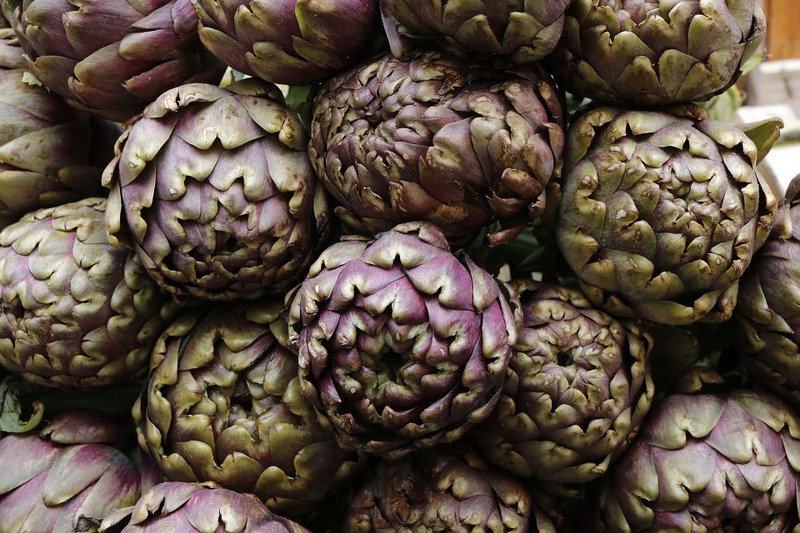 Globe artichokes are high in antioxidants such as vitamin C and phytonutrients. This protects cells against attack from free radicals. Cynarin is one of the top nutrients found in Globe artichoke. It causes a sweet sensation in the mouth after eating the artichoke. This is why Globe artichoke is also sold as a supplement. 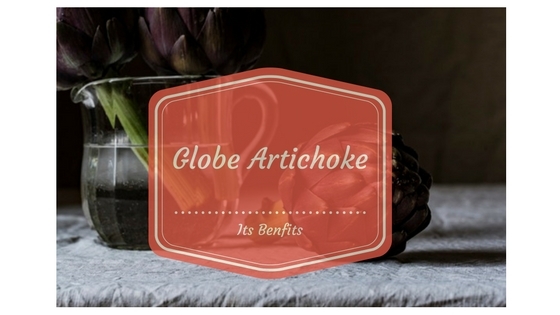 This is one of the benefits of Globe artichoke which makes it perfect for heart patients. High cholesterol linked to small particle LDL cholesterol and raising triglyceride levels cause heart disease. If you want to lower your cholesterol and triglycerides in the bloodstream and increase good cholesterol, artichoke of this variety is the key. Globe artichoke increases bile production and helps the liver to reduce the amount of cholesterol in the bloodstream. Globe artichoke was actually used by Romans as a medical cure. Recently, research has shown a component of Silymarin called Silibinin protects the liver from poison found in the form of death cap mushrooms extract and carbon tetrachloride. Globe artichokes also have a mild diuretic effect assisting in lowering blood pressure for persons. Cynarin in Globe artichoke increases bile production and helps the body to digest fats more efficiently and receive benefits from fat soluble vitamins. Bile works through emulsification of consumed fat making it easier for absorption and processing by the small intestine. Artichoke also cures dyspepsia and Irritable Bowel Syndrome because of these properties. Scientific studies have shown that cynarine and sesquiterpene lactones in the artichoke reduce cholesterol synthesis and increase its excretion in bile thereby reducing cholesterol levels in the blood. About 17 percent of the daily allowance of folic acid can be had from Globe artichokes. Folic acid is involved in the synthesis of DNA and during early pregnancy, it even prevents neural tube defects in the baby. Vitamin C in Globe artichokes helps to fend off infections and saving harmful free radicals from the body. Vitamin K in Globe artichoke promotes good bone health through osteotropic or bone formation activity. Enough vitamin K levels in the diet limit neuronal damage in the brain. This is perfect for those with neurodegenerative diseases like Alzheimer’s. It is also rich in caffic and ferric acid which protects the body from free radical agents and is rich in B-complex group of vitamins like thiamin, niacin, B-6/pyridoxine and pantothenic acid critical for optimal cellular metabolic functioning. Globe artichoke is also high in minerals like Copper, Potassium, Calcium, Iron, Phosphorous and Manganese. While Potassium helps in lowering heart rate and blood pressure by reversing effects of sodium, Manganese is used asa cofactor for producing antioxidant enzymes. Copper is needed in the red blood cell production while the iron is required for red blood cell formation. Small amounts of antioxidant flavonoid compounds like beta carotene and lutein add further to the nutritional benefits of this wondrous vegetable. 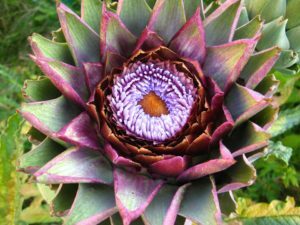 Antioxidants present in Globe artichokes like util, quercetin and gallic acid have been shown to reduce cancerous cells and prevent tumours from growing/. Use artichokes to lower unearthly cholesterol, calm inflammation in the body and enhance blood flow. Globe artichoke is also rich in fibres which keep blood sugar levels stablehand permit glucose to be absorbed in the blood more slowly. As fibre is a substance to be digested and does not need insulin, it does not count in terms of carbs or glucose consumed. Artichokes also provide enough mineral iron. Deficiency in iron can lead to anaemia and disorders of digestive system besides a weakened immune system and poor ability to focus. The foods you eat show up in the way you look. Globe artichoke has antioxidants like vitamins and minerals which protect the texture and appearance of the skin and prevent it from ageing. Collagen development through vitamin C makes the skin soft, supple and young. Strong immunity boosts skin health. 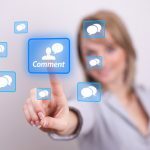 Digestion improves and this impacts the quality of the skin in a positive manner. Artichokes are also anti cancer- doctors hold that prevention and management of prostate and breast cancer and leukaemia can be possible through consumption of Globe artichokes. These artichoke are rich in gallic acid, quercetin and rutin which causes less cancer cells and more cell deaths thereby destroying tumours. So this wonder vegetable has many amazing properties. From fighting cancer to helping heart patients, Globe artichoke has universal benefits. Rich in phytonutrients and antioxidants, it flushes out toxins from the system and ensures that health remains in your hands. 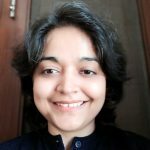 Is globe artichokes good if my ferritin is high?